Whether it’s pizza, lo mein, a beef patty, a samosa, or fried chicken with macaroni and cheese, nothing brings people together like good food. A meal shared with a potential business partner can start a relationship that may prove to be worth millions. Holiday meals serve as a reason to see family members and celebrate good will. 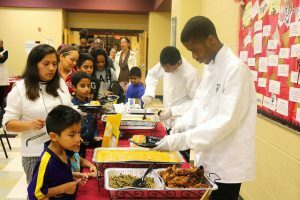 At DeKalb County School District (DCSD), meals are also being used to start an ongoing conversation with parents and families. 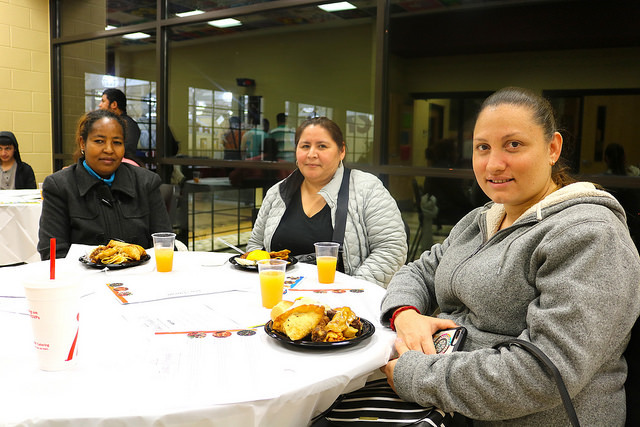 DCSD’s Parent & Family Engagement Department invited families districtwide to the inaugural Taste of DeKalb event on November 26 at Tucker High School. 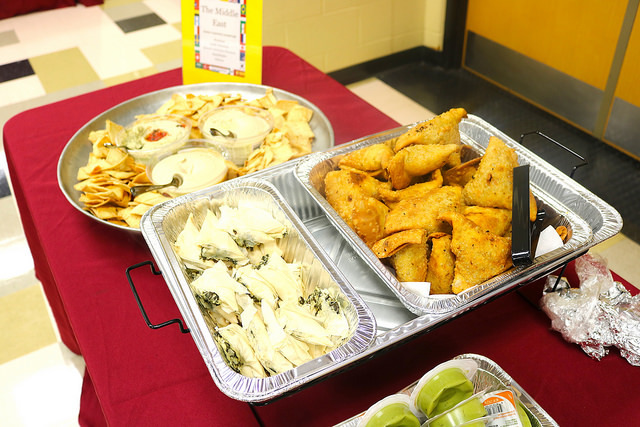 The event, heralded as “A Celebration of Taste & Culture within the DeKalb County School District,” featured Italian, American, Haitian, Asian, Middle-Eastern, and Caribbean cuisine, as well as opportunities for fellowship. According to Cleveland Dollison, facilitator with Parent & Family Engagement, the event is designed to extend a warm welcome to international students and families. Dollison said the event linked cultural studies and literacy by describing each nation’s cuisine on the menu. Food can start conversation, allow people to sit together for an extended period, and get to know one another, Dollison said. The end result, he hopes, is to let attendees know their input and involvement is welcome at DeKalb County School District. According to Parent & Family Engagement manager Marcia Coward, having an internationally themed night has been in the works for quite some time. Coward seconded Dollison’s sentiment that food connects people from different nations—both in DeKalb County and beyond. Coward hopes the event showed families in DeKalb County, especially international families, that the district cares about their needs. She hoped to hear specific concerns while dining with various families. According to her, issues that are common for international families include language, transportation, and overall cultural differences. While education may look one way in one country, American education often appears quite different. She advised that educators do what they can to identify who their students are, what their students’ cultures look like, and understand where each student is environmentally, mentally, and emotionally. Food for the event also helped sharpen the skills of culinary students at Tucker High. A handful of students served attendees various foods, which included meals prepared on site by Tucker head chef Allysa McCarthy, as well as items donated from Sam’s Club and local restaurants such as American Deli, Grecian Gyro, and Dollison’s Events. Parent & Family Engagement also hosted DCSD parents at Family Matters: Game Night at the Robert R. Freeman Administrative & Instructional Complex on November 28.